Have you noticed the level of sophistication of modern cybercriminals? In February 2018, the FBI issued a public service announcementabout an increase in W-2 phishing campaigns. Believe it or not, cybercriminals have managed to scoop up the W-2 information for all employees in companies just by sending one well-placed phishing attempt impersonating senior executives on email. With this information, they can go on to steal taxpayer identities, file fraudulent tax returns, and have even found ways to create fraudulent refunds, which they then collect from unwitting taxpayers by posing as the IRS. The warnings from the FBI on W-2 phishing are just the tip of the iceberg. Since the beginning of the year, the FBI has also warned on two other scams. In the first, cybercriminals are using online shopping services to create fraudulent vehicle sales scams, bilking consumers out of more than $54 million since 2013. In the second, scammers are employing a twisted sense of irony to impersonate the FBI’s own Internet Crime Complaint Center (IC3) and trick unwitting consumers into providing sensitive personal information. These are merely the latest and splashiest techniques uncovered by law enforcement, but enterprising cybercriminals constantly employ new and old methods to steal your information. As with many endeavors, the simplest ways are often the most effective – hacking into your information networks right from the source. Once hacked, they don’t need to trick you into giving your data away, because they already have access to it. RF Window Films: The right RF window films can eliminate the majority of RF and infrared (IR) emissions through glass. Uncovered windows are highly susceptible to wifi hacking or eavesdropping via IR microphones. 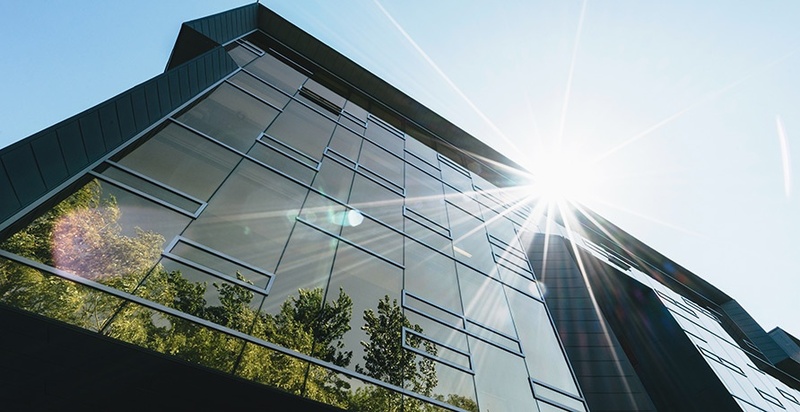 RF window films virtually eliminate this threat and have the added benefit of blocking the sun’s ultraviolet light, thereby allowing for better temperature control and reduced sun damage to indoor furnishings. RF window films are an easy way to change your windows from weaknesses to strengths in the fight against cybercrime. NT radiant barrier rFoil: Signals Defense also offers a high-tech radiant barrier that serves the dual purpose of providing the normal insulation aspect of radiant barrier but also adding a layer of RF attenuation to your walls. RF paint and fabrics: RF paint and fabrics can be used both indoors and outdoors, to provide an electroconductive, RF attenuating coating that may be used in areas where rFoil is difficult to apply, such as floors, wood frames, or any irregular surface. Concerned? Get a Free Consultation from the Experts If you think you need to increase the RF protection in your building, contact Signals Defense today for a free consultation. The company has more than 20 years’ experience providing RF protection to the highest levels of the US government, to discerning commercial clients, and to people concerned with protecting their personal data. Let’s talk now before your data is compromised!